Step 1. 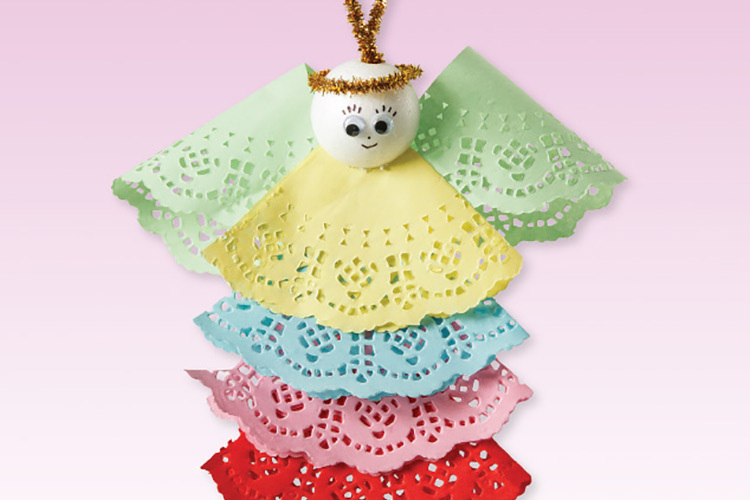 Choose different coloured doyleys for the body of the angel. Step 2. Cut each doyley in half. Step 3. Fold each half into half again. Step 3. Layer doyleys to create the body and glue together. Step 4. Use two halves of a doyley to create the wings and glue to the body. Step 5. Glue half a poly ball to the body of the angel for the head with Supertac. Step 6. Cut a tinsel stem in half. Use one half to create a halo and the other half to create a loop for hanging.